UFC's Paul Craig will be fighting in Philly in March. Earlier this week, UFC announced the first few fights for their upcoming March 30 Fight Night card at the Wells Fargo Center in Philadelphia, which will be headlined by Edson Barboza and Justin Gaethje. Now, the rest of the fight card is beginning to take shape. Two more fights have been added, PhillyVoice has learned, including another women's bout to go with the other two already on the card. The first of the two additional fights is a women's flyweight bout between 21-year-old Colombian Sabina Mazo and Maryna “Iron Lady” Moroz, a 27-year-old Ukrainian fighter with an 8-3 professional record. After two straight unanimous decision losses, Moroz will be looking for her first UFC win since 2016. Mazo, who will be making her UFC debut if Philly and is the first Colombian female athlete to sign with UFC, is 6-0 in her career is the reigning LFA flyweight champ. The other fight added to the card will be a light heavyweight bout between Kennedy Nzechukwu and Paul “BearJew” Craig. For the 26-year-old Nzechukwu, this will be his first time on a major UFC card after picking up a win over Dennis Bryant last August in Dana White's Tuesday Night Contender Series. 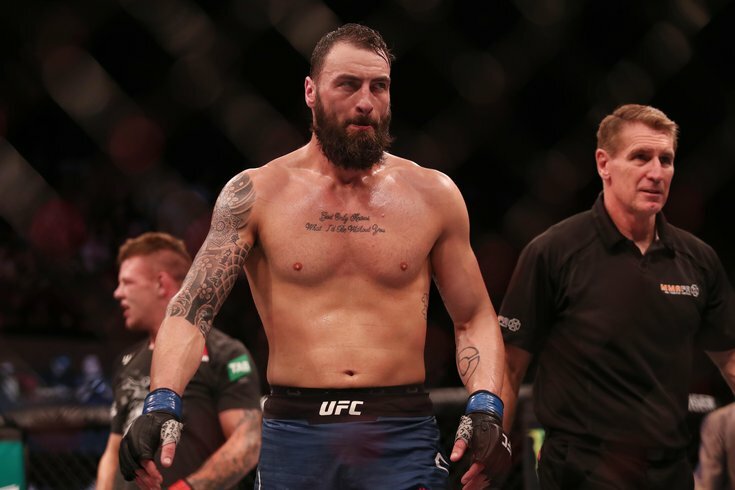 He'll be facing off against veteran Scotsman Paul Craig, 31, who will be looking for his first victory since securing a submission win over Magomed Ankalaev last March.